Address: St James’ Presbytery, James Street, Dublin 8. Since 1991 we have been helping local people to get started in business. We have aided in setting up new retail ventures, we have helped tradesmen to become self-employed, and we have guided locals in setting up ventures within the service industry. Our specialist Enterprise Development Officer is based in St James’ Presbytery, just off James’ Street in Dublin 8, so if you would like to set up a business or become self-employed, you can ring us on (01) 454 6753 to set up a free consultation. Please note: All of the Enterprise services which are listed on this page are provided completely free of charge. This project has been a flag ship for the organisation and is done in co-operation between the Department of Social Welfare and Larkin Centre North Strand. Since this service’s inception we have aided over 2210 clients on their way to starting their own successful business. 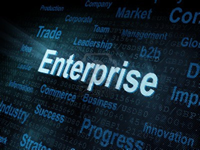 Who is eligible for Enterprise help? We can help you to build a business plan, from start to finish. Want to keep social welfare entitlements for 2 years? In order to avail of the Back to Work Allowance service, clients should first contact their local welfare office to check that they are eligible and receive a letter of referral to the Fountain Resource Group. Subsequently, clients should first ring the Fountain Resource Group main office to arrange a meeting of consultation. Special offer – cheap hi-quality websites built for BTWEA recipients! We can help in a variety of ways. We have a Special Enterprise Development Officer who provides assistance to aspiring entrepreneurs in developing their businesses. The Enterprise officer registers applicants for tax, PAYE & VAT on behalf of the Social Welfare. Lessons on the establishment of a book keeping system are also provided. The service provides general business/marketing advice and business plan construction. Provides Information on Available Grants for Entrepreneurs starting up their business or people already in business who are looking to expand. Phone: 01 454 6753 – Address: St James’ Parochial Hall, James Street, Dublin 8.